Killen Falls is one of several waterfalls in the region and a must see location on your visit to the area. Stroll along the boardwalk, offering a viewing platform located on the top of a cliff overlooking the falls. Killen Falls is one of several waterfalls in the region and a must see location on your visit to the area. Surrounded by foliage that drapes itself over the damp rock walls, this spot will have you feeling like you are in your own hidden paradise as you listen to the crashing waterfall. 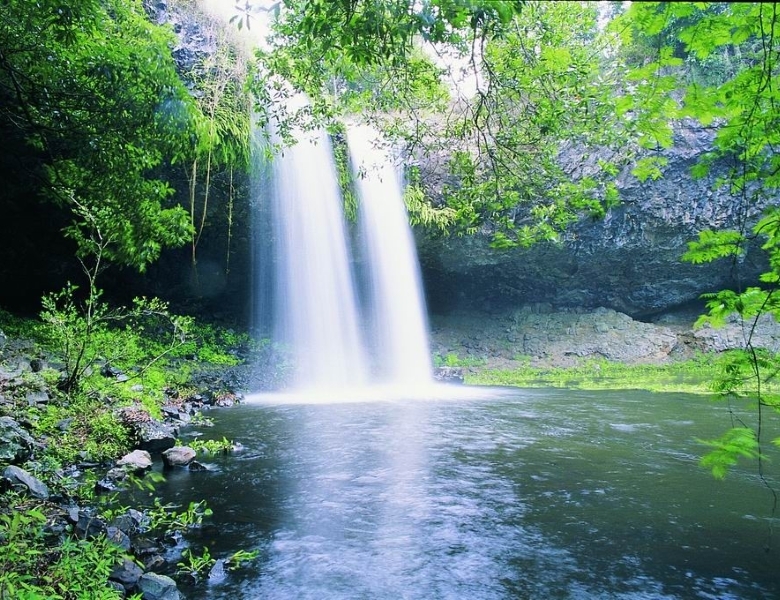 Take a picnic to the Rous Reserve picnic area and enjoy the beautiful sounds of the natural waterfall. Killen Falls Nature Reserve is located on Killen Falls Drive, Tintenbar, New South Wales, about a 20 minute drive from Ballina, off Friday Hut Road. Open dawn until dusk, please note parking is limited and swimming is prohibited. Suggested duration of visit: 40 mins including picnicing time.